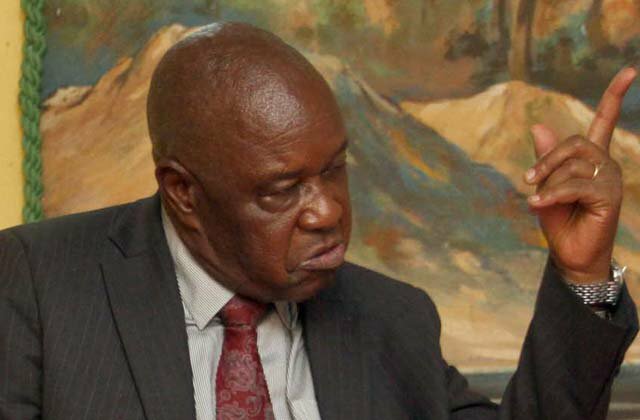 Presidential advisor and War Veterans Leader Ambassador Christopher Mutsvangwa is reportedly pushing for the country to adopt a Transitional Authority to run the country. A top official from the Office of the President who spoke to Bulawayo24 on Sunday narrated to us the plan that has been unfolding behind the scenes commandeered by the embattled War Vets leader. "Chris has been engaged in a spirited effort to make sure there is a Transitional Authority that runs this country. This came after his efforts of trying to get himself onto the Presidium through fighting Vice President Constantino Chiwenga failed. Hence you saw him even boycotting the conference because it was not in his interest." The source said. "You will remember Chris also tried to mobilise a demonstration against fuel guru Kuda Tagwirei at the conference and his efforts were thwarted too. So now what he is doing is that he is burning the midnight oil meeting members of the opposition aligned civic society and church organisations trying to broker a deal that will see the country moving from being ruled by ZANU PF which legitimately won elections to a Transitional Authority that is composed of a number of people outside one party. "Chris wants to emerge as a saviour of Zimbabwe at the end of the day which if his cards works well, will positing him as a darling of the people. If you were following well events leading to the military intervention in November 2017,Chris was vocal that the country needs a transitional authority to take over after the Mugabe administration." The source also claimed that the changes in the editorial team of Zimpapers were meant to advance the agenda of Mutsvangwas. "As I speak to you now there are changes that are happening in the Zimpapers stable. You are going to see people like Jorum Gumbo and Tichaona Zindoga elevated. These people are supported by Amai (Monica) Mutsvangwa. The plot is that they will twist the editorial policy to create a narrative that gives acres of space to a transitional authority and bit by bit close out the presidential activities done by the President. So it's a well thought out plan that Chris is pushing to advance himself to become the President one day." Recently, Zimbabwe Independent revealed that former Kenyan chief justice Willy Mutunga arrived in the country and met senior MDC officials, including MDC president Nelson Chamisa. Mutunga is reportedly coordinating talks between the ZANU PF and MDC with a view of solving the national question.